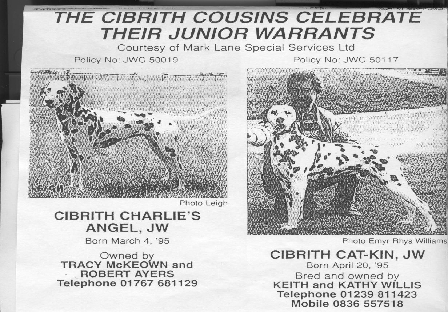 A junior warrant was when you won 25 points from the age of 12 -18th months by winning some classes. 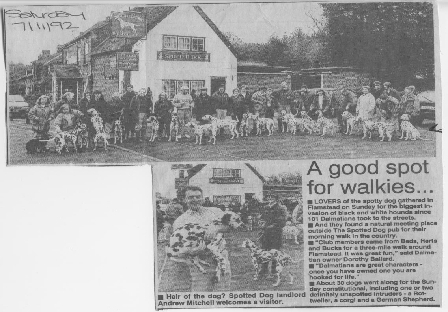 They did an article as you can see all the dogs are well behaved! Notice we were at the spotted dog pub!